Kluber's three-start slump is actually two really bad ones sandwiched around a really good one. It started June 15 with a 10-3 loss to Minnesota in which Kluber gave up four runs in five innings. 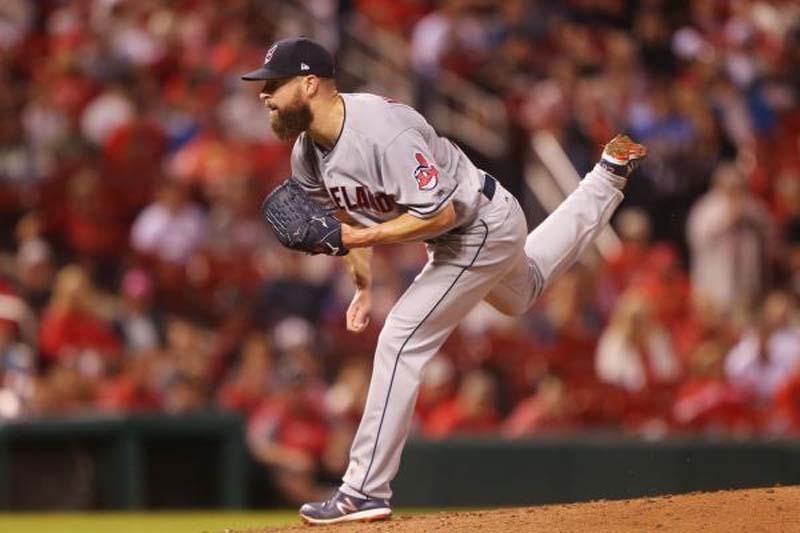 However, Kluber's next start, on June 20, was a 12-0 win over the Chicago White Sox in which he pitched seven scoreless innings and gave up one hit. "He's human. Guys don't go 35 starts (during the season) without a bump in the road," Indians manager Terry Francona said. Kluber said, "No excuses. I just didn't get the job done. I had some things going on delivery-wise and didn't execute my pitches consistently." Kluber's mound opponent Monday night, Royals right-hander Jakob Junis (5-9, 4.67), is also mired in a slump. Junis hasn't won a game since May 18. In seven starts since then, he is 0-6 with a 6.30 ERA. His last start came June 26, a 5-1 loss to Milwaukee. In that game, Junis pitched five innings, giving up four runs and seven hits with seven strikeouts and three walks. Junis' last start against Cleveland came May 13. In a 6-2 loss to the Indians, he pitched 5 2/3 innings, allowing four runs and six hits with seven strikeouts and two walks. The Royals, who have lost three in a row, were glad to see the calendar change to July. They went 5-21 in June, the worst record in June in the team's 50-year history.